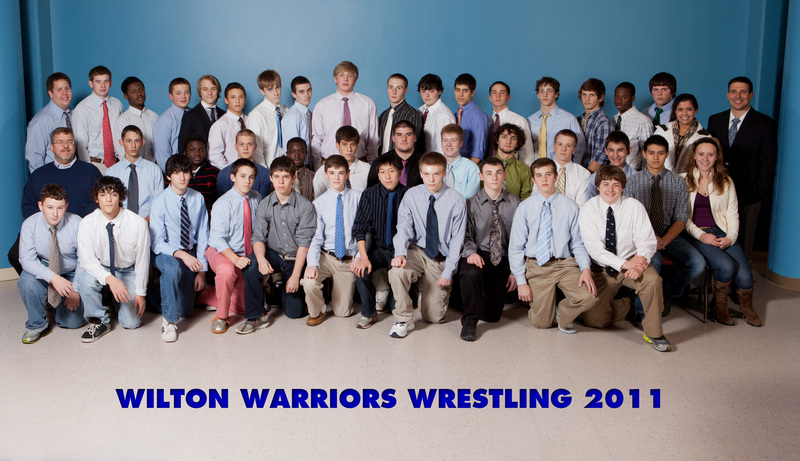 Wilton’s Warriors wrestled three dual meets on Thursday morning, going 2-1 on the day. The team posted a 46-31 victory over Ridgefield in the opening match, then topped Brien McMahon 48-33, but fell to Stamford 48-27 in the final dual. 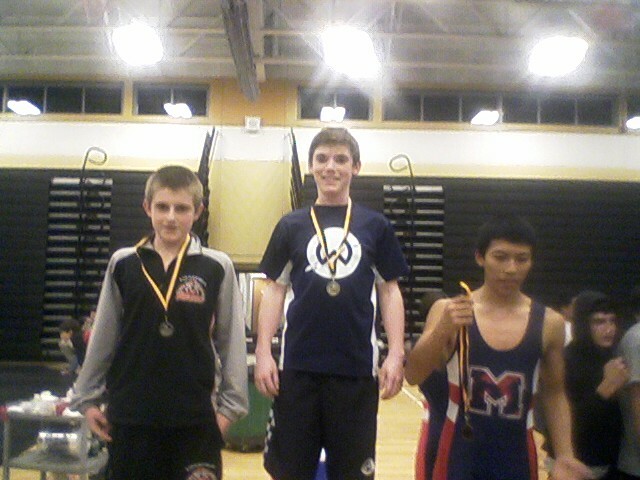 In the Ridgefield meet, 3 Warriors recorded pins — Ace Sakamto at 140, Matt Hill at 145 and Dan Adams at 170. Brendan Sweeney won a 13-2 major decision at 120, and Joey Fraccaroli (285), Wyatt Cobb (152), John Luse (182) and Sean DeJager (220) all won by forfeit. Against Brien McMahon all the team’s points came by pin, with Brendan Sweeney (120), Estevan Garcia (126), Charles Wong (132), Matt Hill (145), Wyatt Cobb (160), Dan Adams (160), Sean DeJager (220), and Joey Fraccaroli (285) racking up victories. Closing out the varsity’s day, Brendan Sweeney (120) and Dan Adams (160) had pin wins, Estevan Garcia had a 7-3 decision victory at 126, and Sean DeJager (220) and Joey Fraccaroli (285) took forfeits against Stamford. In JV action, Price Figurelli-Reid, Patrick Collins, Rod-Djaly Thoby and Mac McReynolds all had two wins by pin. Kenny Pokora, Charlie McGovern, and Joseph Raimondi all won individual matches by pin. The Warriors’ next match is away at Darien High School against the Blue Wave at 4:00 PM on Tuesday, January 3rd. We hope all the parents, friends, and fans who supported the team on Thursday will be able to make it. It was nice to see a big crowd with so many former wrestlers back to support the team. Special thanks to all the parent boosters and siblings who “manned” the concession stand, and to Gabe Queiros, Scott Butler, Drew Kennedy, and Dave Rinaldi, who stepped up to run clocks, keep score and “bop” the referees. Happy New Year to all! Be safe, and see you on Monday for practice which will be from 12:00-2:00 PM in the field house. Tomorrow’s quad meet with Stamford, Ridgefield, and McMahon will begin at 10:00 AM. WHS wrestlers must arrive at the field house to set up mats, chairs, scoreboards, etc. at 8:00 AM sharp. 1. Both mats will be set up at the south end of the field house. The Dollamur mat will be on the west side and the Resilite mat will be on the east side. For the directionally challenged, that means that the mats will be on the end of the field house closest to the athletic office and storage area. The Dollamur mat will be on the side of the field house closest to the hill behind the school. The Resilite mat will be on the side closest to Rt. 7. 2. After the mats are rolled, they should be taped. Do not mop the mats until they’ve been taped. 3. Dry- and wet-mop the mats. 4. Set up two scoring tables with our two score clocks and the flip scorers for team scoring. We will not be using the big score clock or timer as they can’t be seen by the refs or the wrestlers. 5. Set up enough chairs and benches for two teams on each mat. 6. Set up a table for the trainer between and slightly behind the scoring tables. 7. Set up waste baskets near each mat and in the center between the scoring tables. 8. Bring both med kits down to the mats. 9. After the matches, clean up all water-bottles, tape, etc., clear and roll-up the mats and stow them in the storage area to make room for the track meet. Make sure both med kits, clocks, etc. are returned to the locker room. Captains take charge of these activities please. Lead from the front. JVs – we will do our best to get you as many matches as we can. Right now the plan is to have the JV matches between the varsity matches, but that may change. Thursday’s tri-meet with Greenwich and Westhill was challenging, to say the least, and the team came out on the short side of the scores despite some solid wrestling and great efforts on the Warriors’ part. Sometimes the other teams are just better (or healthier), and for yesterday, that was the case. During the 42-23 loss to Greenwich, Wilton got its first team points in a 15-10 decision victory by Brendan Sweeney at 120 lbs. Estevan Garcia followed with a 16-3 major decision at 126 lbs. Charles Wong contributed a pin at 3:11 of his 132 lb match, and “Ace” Sakamoto followed with a 15-7 major. A forfeit win at 220 lbs and Joey Fraccaroli’s overtime pin of his opponent at 285 lbs closed out the team scoring for Wilton. Against Westhill, the Warriors had several competitive matches but the Vikings rolled up 64 team points against 12 for the Warriors — six of which came from a forfeit at 285 lbs. 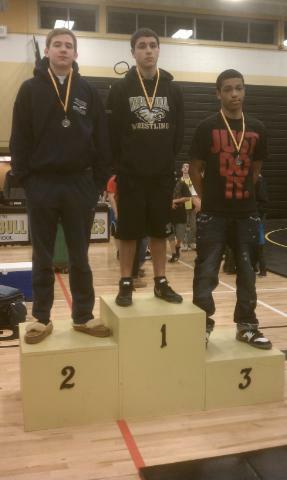 Dan Adams was the only Warrior wrestler with a victory, by pin, in 3:31 at 160 lbs. In JV action, Rod-Djaly Thoby, Price Figurelli-Reid, Kieran Reardon, and Danny Holland all had wins, all by pin. No lifting on Wednesday as it’s the day before our match with Westhill and Greenwich. Wilton rebounded nicely from last week’s opening loss to Warde by posting a decisive 45-29 come-from-behind win over the Bears in an away match at Norwalk High School. There was an excellent and enthusiastic crowd of supporters on both sides which made the match even more exciting. Down 9-0 after an opening 3rd period pin loss at 106 and a tough 8-4 decision loss at 113, Brendan Sweeney got the Warriors rolling with a 1st period pin against his opponent in the 120lb class. Estevan Garcia followed with a 9-3 decision win at 126 to tie the team score at 9. From there, the Warriors never looked back. Charles Wong (132), Andrew Sakamoto (138), and Matt Hill (145) reeled off three straight 1st period pins to open up 27-9 lead. At 152, Wilton came out on the wrong end of a 5 point major decision, bringing the Bears to within 13 at 27-14. Dan Adams (160) and Mitch Feehley (170) roared back with two more 1st period pins against their opponents to bring the team totals to 39-14. A 10-5 decision loss at 182 was followed by a first period pin loss at 195 and a forfeit loss at 220 which closed the gap to 39-29. Joey Fraccaroli, wrestling his season opener, closed the varsity scoring off with a first period pin bringing the final match score to 45-29. In JV action, Nick Cyr and Jack Durels both pinned their opponents and Ken Pokora posted a decision win. The team faces Westhill and Greenwich at Westhill in Stamford on Thursday, December 22nd at 5:00 PM. Click the link for directions. We hope to see you there. Thanks to Mr. Cobb for sending along the team photo. It’s also posted on the roster page, which thanks to the work of many parents, will soon have an updated roster. 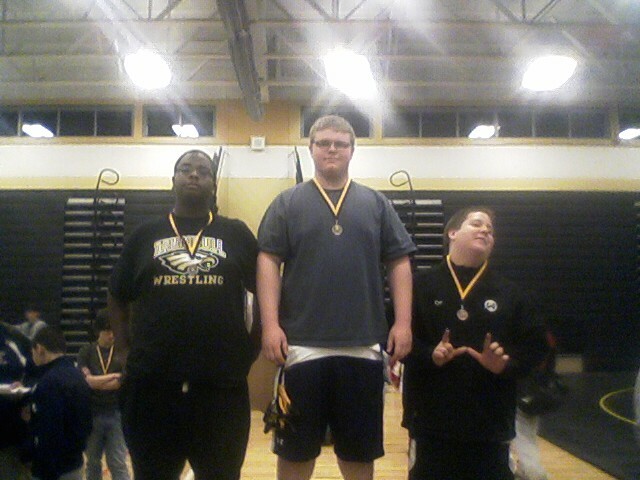 In Varsity action, co-Captain Sean DeJager repeated his championship performance at the annual Guilford Invitational Tournament – this year with the 220lb title. 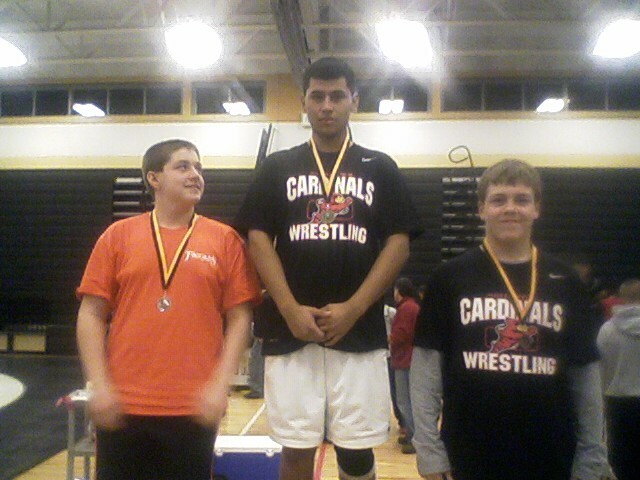 Sean had 3 pins on his way to first place in his division. Several wrestlers, including Ace Sakamoto, Mitchell Feehley, Brendan Sweeney and Estevan Garcia had 2 wins before being eliminated. Overall, the team placed 7th out of 9 teams, and Coach Foldeak noted that given the tough competition at the tournament he was pleased with the team’s effort. At the Trumbull JV Tournament, three Wilton wrestlers took first place in their round-robin pools with undefeated performances — Walter Winrow (4-0), who had 2 pins and 2 decisions, Patrick Collins (4-0), who also had 2 pins and 2 decisions, Dan Holland (3-0) who had 2 pins and one decision. 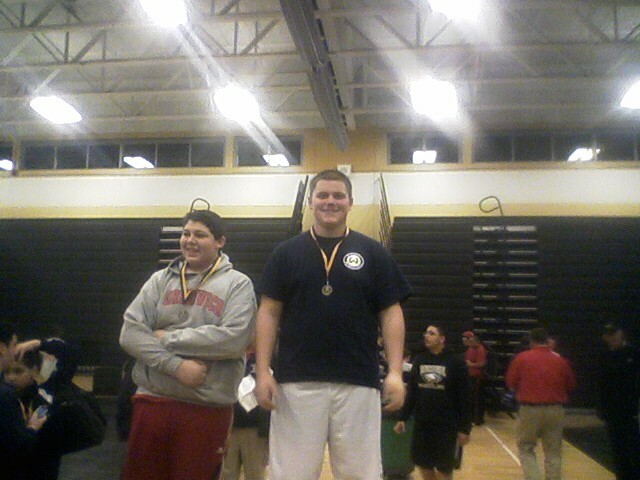 Beau Santomero (3-1) tied for first in his group with 1 pin and 2 decisions. 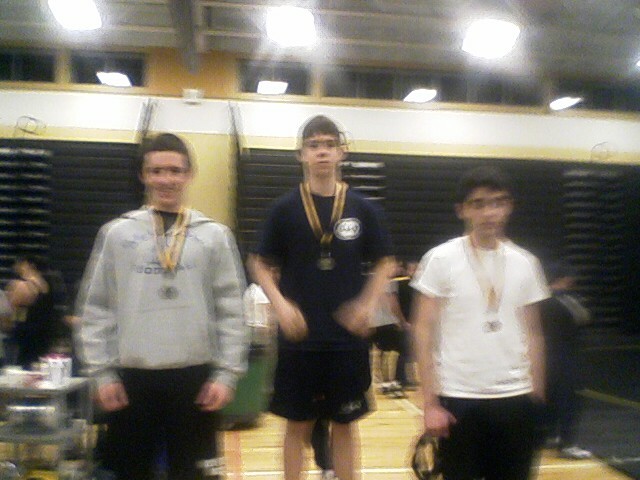 Three wrestlers were 2nd place winners including Kenny Pokora (3-1), Jack Durels (3-1), and Keiran Reardon (3-1). 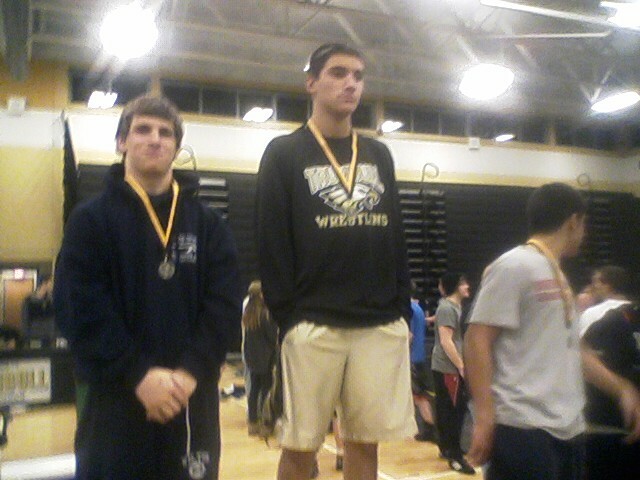 Nick Cyr (1-2) placed third in his group. JD Co-Reyes (1-2) recorded his first win as well! The team showed great sportsmanship and were enthusiastic supporters – and coaches – for their team-mates. Keiran, Dan, Nick, and Jack. Thanks to all the managers, parents and fans who showed up to support the team. We hope to see you all again at Norwalk HS on Tuesday, December 20th at 6:00 PM (Note time change from original calendar) when the team meets the Bears. Practice tomorrow in the field house at 3:30. With a meet on Tuesday, we will not be lifting.